(Incomplete listings) Surveyed and posted by Myrtle Norton Bridges January 22, 2004. King Cemetery is actually on Old Wire Road, but you can get to the back side of it on Duncan Rd. 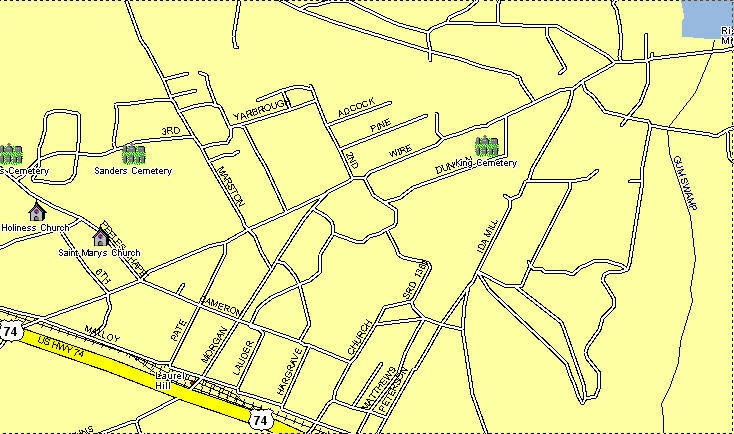 It is very near the old Morgan Mill in Laurel Hill (See map at bottom of page).